Home Musicians YBN Nahmir Age, Height, Net Worth, Girlfriend, Bio, Where Is He From? YBN Nahmir is a vibrant, talented, and fast-rising rapper who doubles as the leader of the rap crew, Young Boss Niggaz (YBN). The clique started as a loose group of friends playing the video game Grand Theft Auto V together. From just having fun online, Nahmir began freestyling while gaming and shortly after, the rest caught the freestyling bug which led Nahmir to bring the gamers together under the umbrella, YBN. 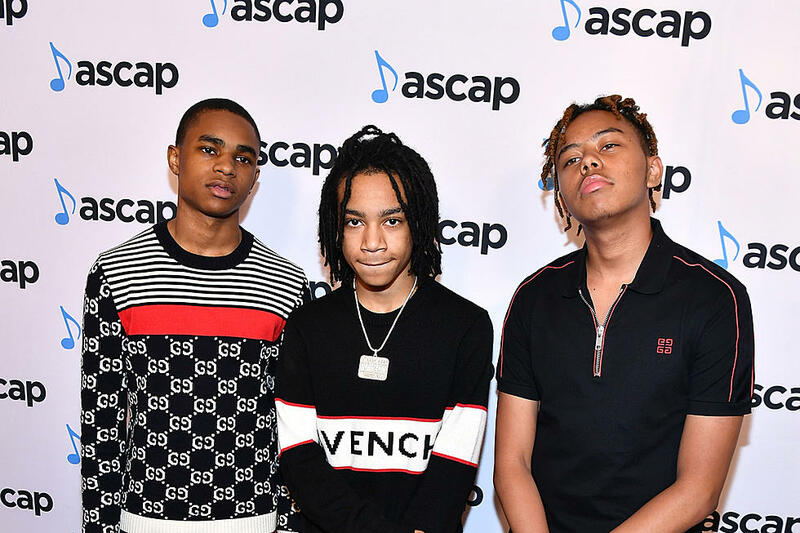 The YBN collective, so far, boasts of more than ten rappers as well as collaborations with popular artists such as Lil Skies, Machine Gun Kelly, and Gucci Mane. Nahmir, on his own part, has been improving his craft since he launched his musical career in 2014. YBN Nahmir Bio (Age), Where is He From? The rapper/songwriter was born on December 18th, 1999 and named Nicholas Simmons. He is a native of Birmingham, Alabama, in the U.S, where he was born. Simmons had an absent father while growing up, this caused his mother to singlehandedly raise him with the help of the rapper’s older siblings and grandfather. His older cousins and brothers would usually get involved in criminal acts and it influenced his childhood to a great extent. YBN Nahmir joined Clay-Chalkville High School, in Clay, Alabama, for his high school studies but he later dropped out and started taking online classes after his hit song “Rubbin Off the Paint” brought success his way. Nevertheless, he eventually graduated from the same school in the month of May 2018. The Los-Angeles-based rapper launched his career in 2014 but shared his first song titled “Hood Mentality” on YouTube on 21st March 2015. More songs followed but couldn’t earn him much attention among rap lovers until January 2, 2017, when he released his debut mixtape on Soundcloud titled “Believe In The Glo”. It paved the way for the success he has recorded in his career. Following the small-scale popularity “Believe In The Glo” brought his path, the rapper went ahead to drop another mixtape on SoundCloud on January 21, 2017. The Alabama young star eventually had his career breakthrough in the month of September 2017 after his track “Rubbin Off the Paint” made its way to WorldStarHipHop’s YouTube channel, debuting at 79 on the Billboard Hot 100 and peaking at 46 after it went viral. Currently, he is signed to Atlantic Records, a music record brand he joined in April 2018 – the same year he was listed as a member of XXL magazine’s “2018 Freshman Class”. The rapper has also toured places like Sweden, France, Poland, and Germany with YBN Cordae and YBN Almighty Jay, who particularly rose to immense popularity as a result of his odd and brief fling with controversial American model and entrepreneur, Blac Chyna. From 2014 when he became a professional artist to this time, he has been able to garner a net worth of $750,000 from entertaining people with his smashing lines and beats. Being an up-and-coming starlet with so many accomplishments ahead of him, his net worth is bound to grow beyond this figure in the nearest future if he continues to work towards being a better entertainer. Regardless of his good looks and fame, YBN Nahmir hasn’t been linked to any lady in the past except for the one he is reportedly dating. Her name is Sahlt but she is popularly known as Alycia Tyre on her social media pages, where she boasts a huge following. The two started dating in the year 2018 and has been together since then. Prior to the time their relationship started, Sahlt dated internet sensations Klaus Bausch and Yousef Erakat. YBN Nahmir’s girlfriend was born in California on November 11th, 1996 to parents from multi-racial backgrounds that include Irish, Russian, Germany, and African-American. Alycia launched her online career in January 2015 and her YouTube platform has more than two million views and 350k subscribers. The Alabama-born rapper stands at a height of 5 feet 7 inches, which is the same as 1.7 meters. He weighs 65 kilograms (143 lb) which complements his slim body build and his other body measurements are not known. Nahmir, who wears size 7 (US) shoes has black hair and dark brown eyes.